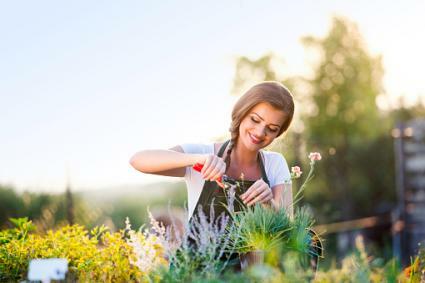 Reviewed by Master Gardener Stephanie Suesan Smith, Ph.D.
Want a garden that stands out from the neighbors? From plants with eyeballs to ones that look like hairy balls, you might be surprised to discover that you can actually grow these crazy looking plants yourself. When you see a White Baneberry in its flowering season, it might seem like no big deal. But when it produces its berries, that's when the freak comes out to play. 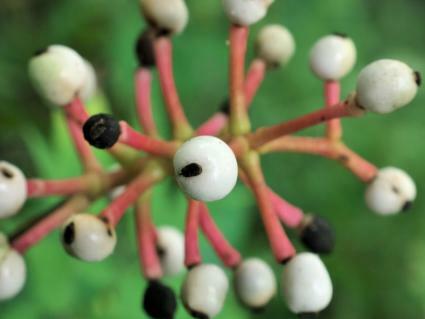 The China-white berries come to fruition during the latter parts of the year and have a conspicuous black dot at the end of each one, making them look like a creepy eyeball. The White Baneberry is better suited for those who do not have children in the household, considering that it is very poisonous and should not be touched or eaten - especially the berries! It also requires someone with oodles of patience because it takes a long time to grow (seeds germinate the following year and flower in the third). Propagate it from seeds and ensure a dappled sun/full shade place to grow it. The White Baneberry is suitable for zones 4-9, and viewed as being difficult to grow due to its slow germination and growth to maturity. A carnivorous plant, the Tropical Pitcher Plant originates from Australasia and has large red pitchers that grow off the tips of the leaves. These surreal looking pitchers are filled with secretions that attract and digest any insect who lands on the slippery little covers and falls inside the aptly nicknamed Monkey Cups. This exotic-looking plant is surprisingly easy to grow and will adapt to most homes, being perfectly happy on a sunny, bright windowsill. It can even be grown outside if temperatures are warm enough, preferring daytime temps of no lower than 64°F. They require good air circulation and a light and well-drained, porous soil, not to mention access to insects to eat. If you have a bug issue in your house, these could be the perfect addition! 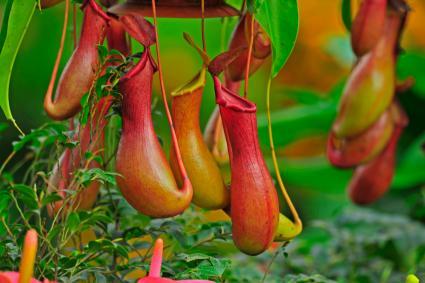 Tropical Pitcher Plants are suitable for climates to zone 4 and relatively easy to grow. Love the look of a rock garden? 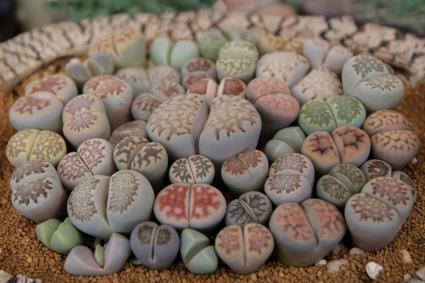 Lithops might be the perfect plant alternative. Their stone-like appearance helps them blend in with surrounding pebbles and stones to avoid being eaten. The plant consists of one or more pairs of bulbous, partially fused leaves, hardly any stem, and a translucent surface, with its tentacle-like flower only adding to its crazy. You can grow these living stones by potting them in dry cactus mix and placing them in bright light near a south-facing window. Although you can grow Lithops from seed, they can take many months to establish and years before they resemble the final product. If you're impatient or are a novice gardener, a faster alternative might be to buy one at a nursery. Living Stones are easy to grow. They can do well in all zones as a houseplant. 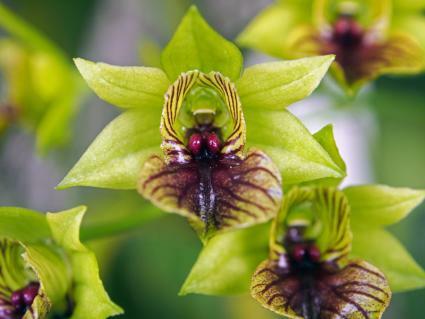 If you think regular orchids are too cutesy looking, the Green Dendrobium Orchid is the choice for you. With a somewhat menacing look, this orchid heralds from South America and has major extraterrestrial attitude. For more experienced green thumbs, Green Dendrobiums can be cultivated at home by using the right care and propagation techniques, such as replanting baby orchids and growing new plants from cuttings. If you're less plant savvy, you can also buy one from an orchid nursery, but you'll have to remain attentive in order for your Green Dendrobium to thrive. Alien Orchids thrive in zones 11 - 13 and can in other zones as well. They can be grown indoors or in a greenhouse and are relatively easy to grow. Just the name alone is enough to freak us out, but the look of this crazy hairy plant raises a few eyebrows as well! 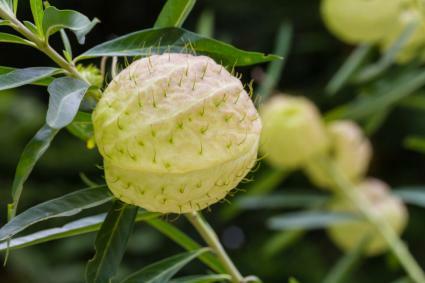 Despite its swollen bladder look, it's often used as an ornamental plant. Also known as Giant Swan Milkweed, Balloon Plant, or Family Jewels (amongst other names), this member of the milkweed family is a fast-growing annual that can grow to over six feet high and thrives in colder zones, in full sun to part shade. It can be propagated from seeds or bought locally. This plant is a perennial in zones 9-11, an annual in other zones. They are considered easy to grow. Move over boring plants. There's never a dull moment with these quirky guys around. Why not give them a try!